How the Government Got in Your Backyard distills the science, the politics, and the unbiased, nonpartisan truth behind hot-button environmental issues from pesticides to global warming. 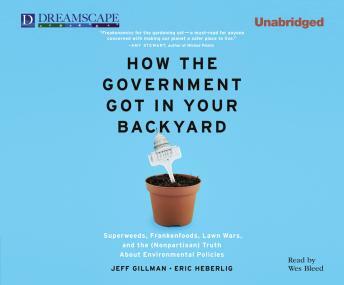 By clearly representing what the left says, what the right says, what the science is, and what the facts are, Gillman and Heberlig don't set out to provide the answer - they light the path so concerned citizens can uncover their own true and informed opinion. In this season of political discontent, the unbiased truth about environmental policies - free of political agendas - is as refreshing as it is fascinating. How the Government Got in Your Backyard is not for Republicans or Democrats, liberals or conservatives. It's for anyone who is ready to get to the bottom line.